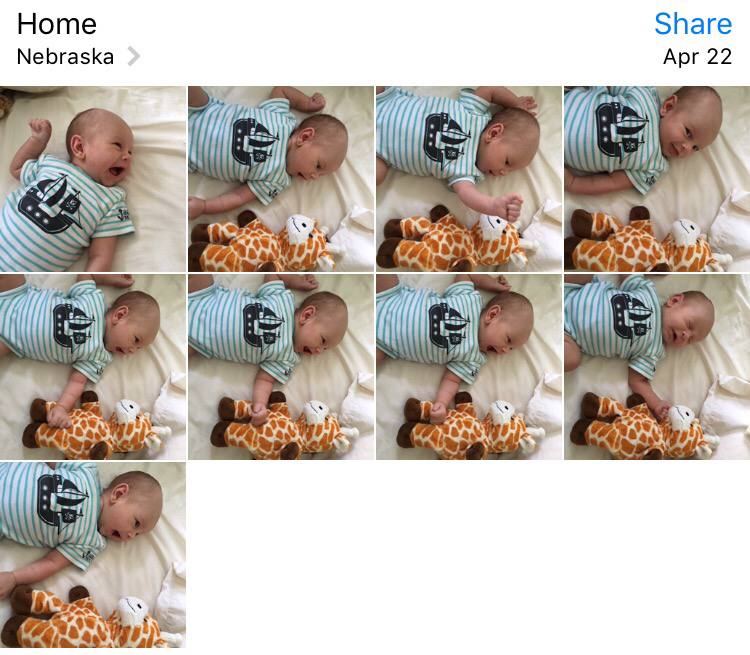 One feature I knew I wanted Snapthread to have from very early on was the ability to display a user’s photo library in a similar way to the native Photos.app: scrolled to the bottom, sorted by Moment, with selectable sections. What I ended up implementing is actually closer to the Photos app within the Xcode device simulator: it can’t “zoom” in and out of Moment clusters, but it can display assets organized in sections by location and date. I created a sample project to demonstrate how I did that and put it on GitHub. This is the first time I’ve ever shared code on GitHub, and I know it’s not particularly good, but if you run the project on your device you should see just what I described: your most recent photos and videos at the bottom of the collection view, sorted by Moment. The project loads the user’s first 25 Moments immediately, and then performs a background fetch for the rest, refreshing the collection view only if the user scrolls to the top of the currently loaded content. There might be much better ways to accomplish this. I welcome any feedback! Here’s the project link again, for those interested: SwiftyPhotoMoments on GitHub. This post could’ve easily been titled “I made an app with a two month old baby glued to me, AMA.” Of course, if it weren’t for Charlie, I wouldn’t have gotten the idea for the app in the first place! ? It started with a giraffe. At this point, I was kinda sad because the Live Photos were cute but weren’t captured as I intended. A few days later, I decided to do something about it. I don’t have the creative energy for it. Taking care of a baby who doesn’t sleep through the night has sapped me of the mental resources I need to make stuff like art and music. Someday! I’m interested to see what changes to GameplayKit and SpriteKit Apple will show off at WWDC. Maybe I’ll get some new ideas or will be able to improve my code in some way. Even though I’m taking a break from Corgi Corral, I still have that itch to make something. So, I decided to dive head first into the Photos framework and create an app that rotates Live Photos. It actually took me several weeks to get something working due to my lack of experience with both Core Image and AVFoundation (not to mention the fussy way that Live Photos are constructed). I’ll write more about the process of building the app in another post, but needless to say there were many headaches involved! However, I still had a blast doing it. For the first time ever, I truly feel like a real app developer. Sure, my Bible verse app was fun to make, but there are a zillion Bible verse apps on the App Store. 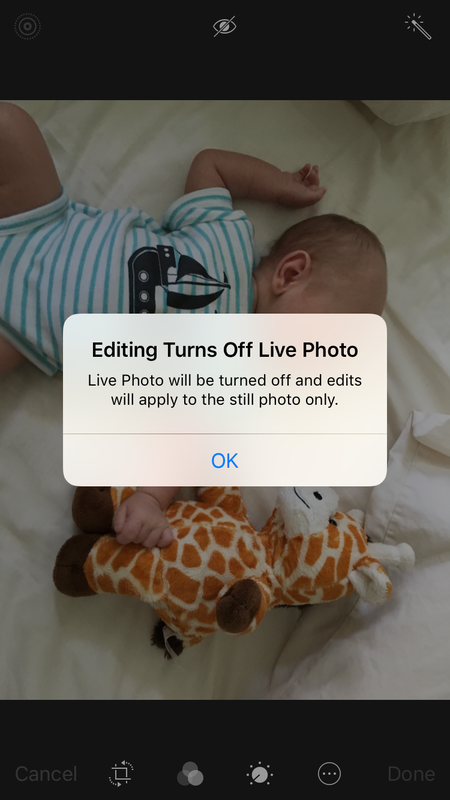 I haven’t found an app yet that can rotate Live Photos. Maybe one exists, maybe not, but I finally feel like I was able to identify a unique problem and build my own solution. It’s a powerful feeling! Confession: I love filling in all the blanks in iTunes Connect. The screenshots, the app preview video, the description…there’s something really satisfying about seeing my app’s profile come together. I even had fun making the screenshots, using David Verwer’s SimulatorStatusMagic to ensure the status bars looked nice and clean. The app is called LiveRotate (I decided to adopt _David Smith’s straightforward approach to naming apps) and it costs $0.99. Any money I happen to make will go towards purchasing the new MacBook Pro I’ve been dreaming of for the past two years!